The Washington Naval Conference of 1921-1922 set a number of limits on warship construction and fleet composition. One of the ship types limited by the treaties was cruisers, notably heavy cruisers. These ships, descended from the Armored Cruisers developed by the navies of the great powers prior to the First World War were considered a major part of each of the navies of the signatory nations. The armored cruisers had 8-10 inch guns and a relatively substantial armored belt. The type was not particularly successful as with few exceptions they were used in fleet actions where they were under-gunned and under-armored. They were most successfully used in overseas service against raiders or commerce. The most famous of the type were the German Scharnhorst and Gneisenau of the German Far East Squadron. Smaller and faster than a battleship, the type had developed by the 1920s into a ship that could be used for fleet screening and scouting as well as showing the flag in foreign waters where many were found. The Washington treaty did not limit numbers of these ships as it did Battleships and Aircraft Carriers, but it did place maximums on the gun size and displacement of individual ships. A heavy cruiser could be armed with 8 inch guns and were limited to 10,000 tons displacement. Of course this led to compromises in the designs of the ships which frequently gave up protection for speed. The Americans were the leaders in the development of the treaty cruisers. The Japanese only built one class of cruiser, the Kako class which complied with the terms of the treaty. They mounted 6- 8” guns and displaced about 8,600 tons. They were fast but because of their light displacement were top-heavy. Subsequent classes, the Nachi and Atago classes violated the tonnage limits by as much as 4,000 tons while the Japanese reported them as 10,000 tons. They were armed with 10-8”guns in five turrets, had good protection and also mounted 12 24” “Long Lance” torpedo tubes. Two subsequent cruisers of the Kumano and Tone classes were built in the 1930s. The Kumano class of about 13,000 tons were initially classed as “light cruisers” mounting 15- 6” guns prior to being re-armed with 10-8” guns. The Tone’s mounted 8- 8”guns in 4 turrets all mounted forward leaving the entire aft section for use as a seaplane launching area; the Tone class carried 8 float planes for fleet scouting. The British treaty cruisers abided by the limits included the York and Exeter, of the same displacement and armament as the Kako class except they were slower, a common feature of British ships which were generally slower than their American and Japanese counterparts. The later County class ships were armed with 8- 8” guns and were distinctive looking having three funnels. The County class included such famous ships as the Norfolk, Suffolk and Dorsetshire which played critical roles in the chase and sinking of the German Battleship Bismarck. Australia had two Counties, the Australia and Canberra which did most of their service in the Pacific. The Counties were armed with 8- 8” guns and were distinctive with their three funnels. They were slower than their Japanese or American counterparts. The first American treaty cruisers the Pensacola and Salt Lake City of about 9,500 tons with an unusual arrangement of 10- 8” guns mounted in 4 turrets. However it was the Chester class which was the quintessential U.S. Treaty Cruiser design. These ships, and the later Astoria class, also displaced 9,500-10,000 tons and mounted 9- 8” guns in three turrets. A further “treaty” cruiser was Wichita, converted from a St. Louis class light cruiser. All were fast but were lacking in armored protection and none mounted the torpedoes found in Japanese or British ships. Some of the more notable ships in the U.S. treaty classes included the Houston which served as the Flagship of the Asiatic Fleet which was sunk at the Battle of the Java Sea. The Augusta which took Franklin D Roosevelt to Argentia for the signing of the Atlantic Charter in 1941; The San Francisco which helped stop the Japanese fleet in a point blank encounter in the Naval Battle of Guadalcanal and Indianapolis which with just weeks left in the war having completed the secret mission to deliver the Atomic bomb was sunk by a Japanese submarine. The Germans did not build true “heavy cruisers” until the late 1930’s and their ships, the Hipper, Blucher and Prinz Eugen mounted 8- 8” guns and displaced about 19,000 tons. The German “Pocket Battleships” Deutschland, Graf Spee and Admiral Scheer, mounted 6-11” guns on a hull of about 11,000 tons (officially 10,000) in compliance with the Treaty of Versailles restrictions on German battleships. They were designed to outgun and be more heavily armored than the heavy cruisers and be faster than battleships, much more in the Armored Cruiser tradition. During the war the German Navy reclassified them as Heavy Cruisers. None of these ships were built under the treaty limits for cruisers. These ships saw distinguished service throughout the war. The British ships remained their only heavy cruiser design throughout the war. The ships took part in the sinking of the Graf Spee and Bismarck. They also suffered heavily; York was sunk at Crete and Exeter in the Java Sea. Cumberland and Dorsetshire were sunk by Admiral Nagumo’s carriers which had attacked Pearl Harbor, in the Indian Ocean. Canberra was sunk at the Battle of Savo Island off Guadalcanal. Some of the British Ships remained in service until the 1950s and all eventually we paid off and sent to the breakers. The Japanese ships were involved in almost every major action of the Pacific war. Fast, heavily armed and manned by well trained crews they dominated almost every surface action of the early war in the Pacific. The were key at the Battle of Java Sea and Savo Island where they annihilated Allied or American cruiser and destroyer squadrons. In action so often they were destroyed leaving only two marginally operational at the end of the war. Three of the four Kako class were lost in the Solomon’s. They were all involved at Savo Island, and the last survivor, Aoba was lost at in harbor to U.S. air strikes at Yokosuka at the close of the war. The Nachi class saw considerable service and were the workhorses of the Japanese cruiser force. They were the principle executioners of the ABDA fleet in the Java Sea battles and continued their service until late 1944 and the end of the war. Nachi and Ashigara were sunk in the aftermath of Leyte Gulf while Haguro fought the last surface action of a major Japanese combatant in a surface action of the war against a British force in 1945 and was sunk. and Myoko survived the war in a damaged condition being surrendered in Singapore. The Chokai class also served throughout the war and three of the four were lost at Leyte Gulf. The Atago and Maya were lost to the U.S. Submarines Darter and Dace, Chokai in the action at Samar to combined U.S. destroyer and air attacks from TAFFY-3. Takao survived the war in a damaged condition having been torpedoed at Leyte Gulf but making port. 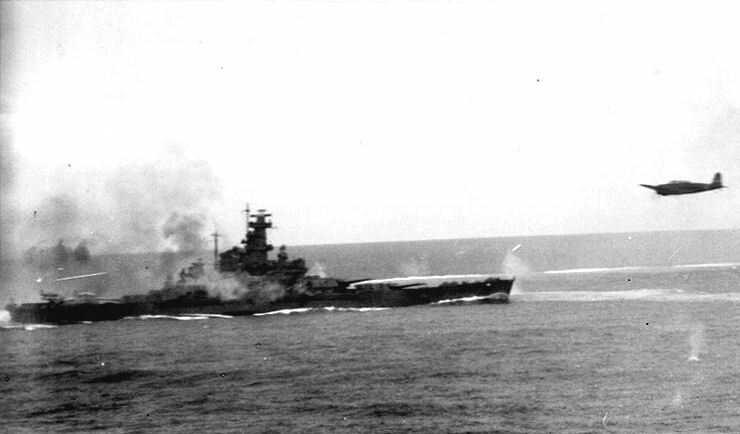 Of the later cruisers Mikuma was sunk at Midway and Mogami survived almost unimaginable damage in that battle. Mogami was sunk by the resurrected Pearl Harbor Battleships at the Battle of Surigo Strait while Kumano and Suzaya were lost off Samar. Chikuma and Tone also served in many battles, it was Tone’s float plane which was delayed in launching and discovered the U.S. carriers at Midway too late. Chikuma too was lost at Samar; Tone was sunk at anchor at Yokosuka in 1945. 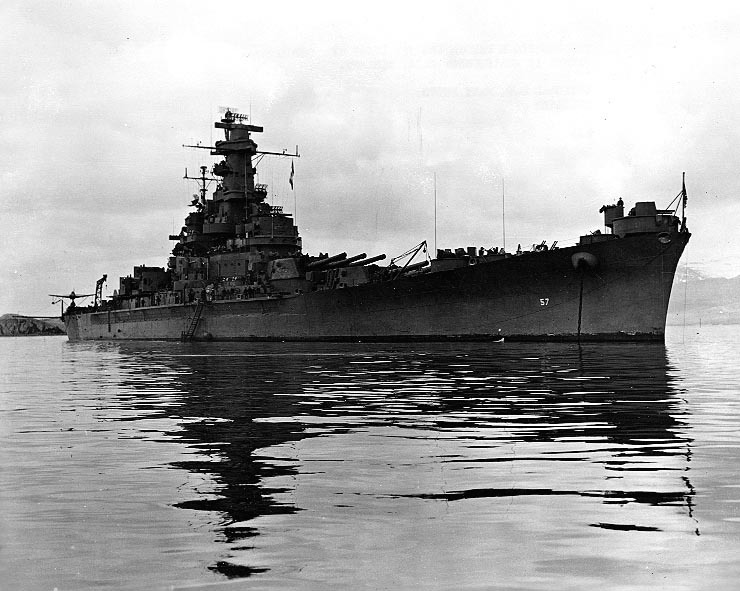 Leyte Gulf in a sense could be described as the “Death Ride” of the Japanese Cruiser force. 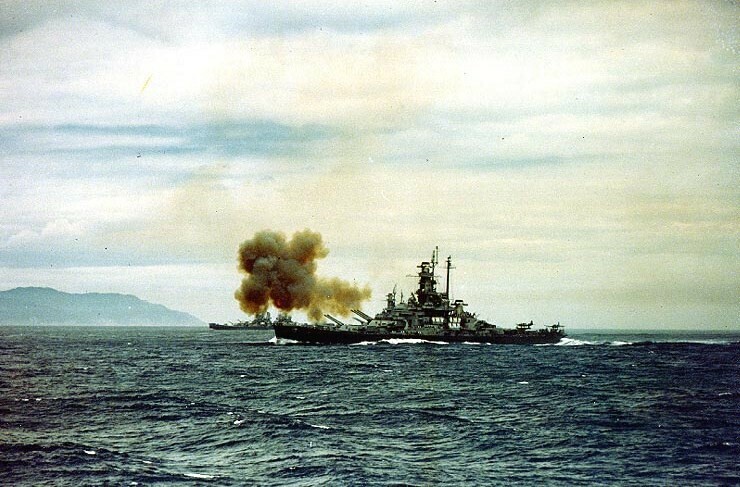 The U.S. cruisers fought valiantly in nearly every engagement of the Pacific war and a few in the Atlantic. Houston was immortalized by her actions with ABDA in the Java Sea against hopeless odds. Astoria, Vincennes and Quincy were sunk in the Savo Island debacle. Northampton and Chicago lost also in later actions in the Solomon’s. San Francisco and Portland fought toe to toe with the Japanese Battleships Hiei and Kirishima in the epic Naval Battle of Guadalcanal, inflicting so much damage on Hiei that she was later sunk by American Aircraft the following day. Indianapolis met an unlikely fate at the close of the war being sunk by a Japanese submarine after returning from a secret mission delivering the Atomic bomb. A series of unfortunate events led to her loss not being noted with the result that most of the survivors of the sinking being lost to the elements and shark attacks while waiting days for rescue. Others survived horrific damage from “Long Lance” torpedoes and Kamikaze attacks. Following the war the Pensacola’s were expended as targets and the remaining ships placed in “mothballs” until the late 1950s when all were scrapped. Some artifacts of San Francisco including her mast are at “Land’s End” park in that city. 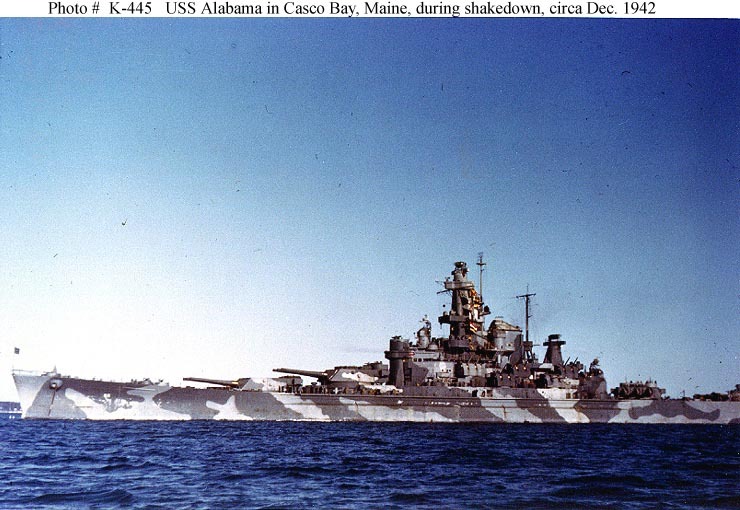 Of all the navies involved only the United States Navy and German Kriegsmarine built or attempted to build new classes of heavy cruisers during the war. The US Navy brought out the Baltimore Class which was highly successful and built upon lessons learned from the Treaty Cruisers and the follow on Oregon City class which incorporated design improvements based on experience with the Baltimore Class. Some of these ships would be converted into the first US Guided Missile Cruisers. 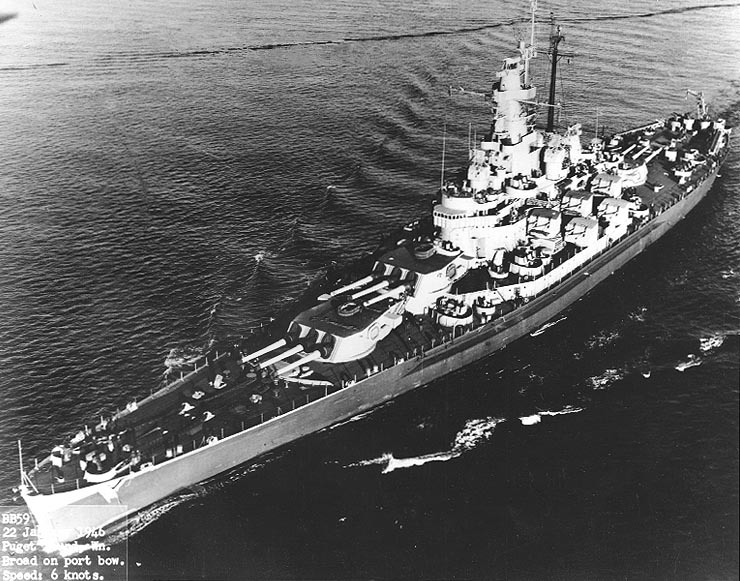 The later Des Moines Class the largest class of all gun cruisers ever built with fully automated 8″ gun systems. Of these ships only Salem survives in Quincy MA as a museum ship, sadly the Des Moines which had been slated to become a Museum ship in Milwaukee was scrapped in 2007 . No treaty cruiser survives today. Their service, heroic, unceasing and tireless service is remembered only by their surviving crews and a few naval historians and buffs. The epic damage control actions of the San Francisco are still taught at the Naval Surface Warfare School. They have passed into history, of those sunk some have been rediscovered, the Ballard expedition discovered and photographed the wrecks of Astoria and Quincy and their Australian consort Canberra in the waters of “Iron Bottom Sound” off Guadalcanal. The German “Prinz Eugen” though not a treaty cruiser survived the war and was expended as a target in the Atomic bomb tests. Her wreck lies capsized and submerged at Bikini Atoll. An attempt to salvage her by a German group was abandoned and one of her screws was brought back and placed on display near Kiel, Germany. Though all had design drawbacks due to the treaties, the American and British ships performed magnificently and without their service, especially in the early days of the war history today might be different. Here’s to gallant ships and steadfast crews. May they never be forgotten.